Welcome to the Jolly Voice Studios! Private voice lessons are a great investment in yourself, whether you are a professional singer, student, or sing for fun. Group lessons and workshops can also greatly enhance your understanding of your voice, your body, performance techniques, performance anxiety, or auditioning. I can help you build, refine, and enhance your vocal technique so that you are free to express yourself and connect more deeply with the material you’re singing. I teach students who are studying traditional bel canto singing, musical theatre, crossover, and pop, accompanying them for lessons or recordings. If you feel frustrated when your auditions or performances don’t match what you can do in your lessons, you may have performance anxiety. I can help you learn some techniques to manage the symptoms and perform at your best. Join us and leave more empowered and joyful, prepared for your musical endeavors. Do you want to improve your technique for better stamina? Would you like to feel more vocally free? Do you feel like you have two separate voices? Do you need a deeper connection to your breath? Would you like to improve your range? The studio accepts voice students ages 12 and older. It is best if students are able to read music or have experience playing another instrument, preferably piano. Students who cannot read music will require additional music theory materials. 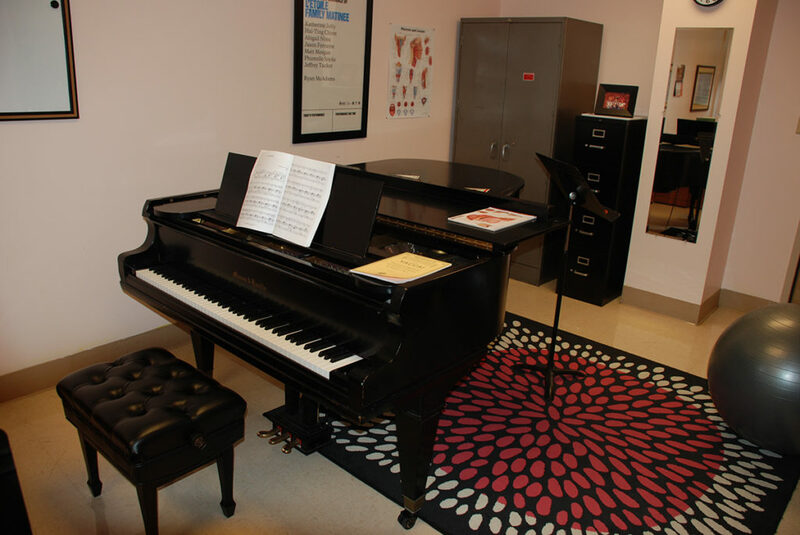 Voice lessons focus on a variety of music styles to promote the development of proper alignment, breathing, resonance, and tone production, in addition to performance style and interpretation. Lessons occur once a week, every week. This two-hour workshop will help you learn how to maximize your strengths in an audition situation, whether for musical theater, opera, pop, or contemporary music. 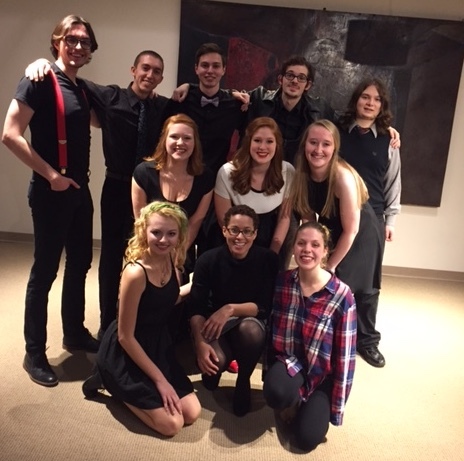 Musical Theater Performance Workshop is an exploration of musical theater in a studio workshop setting. Students will the study the process of learning a song or ensemble work, analyzing text, motivation, music, and movement.